---Finally feel like July 14 th is not that far away. 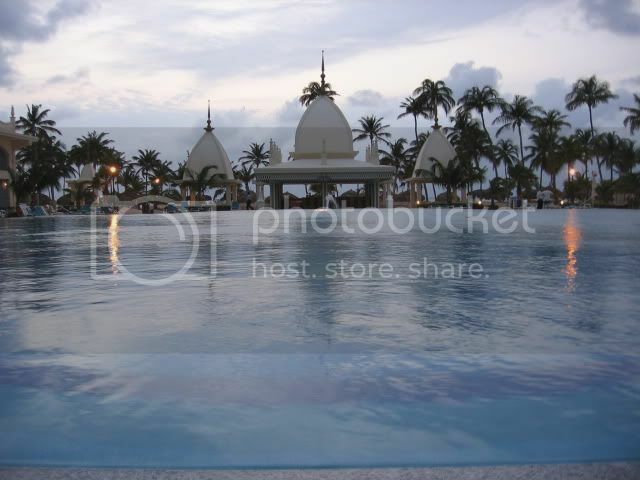 Looking forward to my 2 1/2 weeks in Aruba and the Riu. Received an email with units that are for sale/rent or people looking to rent. Hope others have more luck than I did. I want to go back sooooo bad. Lynn have a GREAT time!!!! I have an apartment you can rent for week 30-sorry it is a 1 bedroom. Lynn - July 14th's right around the corner!! It'l be here before you know it. I know-makes me a little anxious-I am not a fan of flying but can't wait to get to Aruba. My husband goes a few days before me so I fly alone-not sure if that is good or bad. Sometimes he makes it worse. Wow, July 14th - I've always found that the last few weeks just fly by. Hey Elaine, don't you wish we had a countdown like that? I am so excited for you Lynn....you are going to have a GREAT time. Even though you're not a fan of flying, the end result is paradise. HaHa - I guess in your case, it's not about the journey, it's about the destination. Hey Ro... I'm so jealous of Lynn!! Here's how I look at it... it's almost July 4th, then Labor Day, Thanksgiving, Xmas, New Years, and I'm on my way!! Yeah Baby!!! Bring it ON! Only 5 holidays to go!! I like that thinking. Elaine and Ro....I like that method of countdown....because by those calculations....I only have 2 holidays to count...yeah baby. Only thing sad about it is that when those two holidays pass....summer too has past for the most part...and heaven knows we waited long enough for it to get here to wish it all away.....BUT.....as long as they are flying by...we might as well look forward to the trip...right?? LOL. Lynn....July 14th is close enough to be thinking about packing (at least I would be)...oh, who am I kidding...I would already have stuff piling up in the spare room anticipating packing....hehehee. Have a great time in paradise....I'm sure you will hear that numerous times between now and then...so continue to countdown...and dream about a wonderful time..
And to really get me in the mood, guess what I did yesterday? I bought a whole bunch of suntan lotion that was on sale at Walmart. Just couldn't pass it up. When I buy lotion for our trip, it's usually February and the pickins are slim. Got some really good deals yesterday. Going to start my Aruba box in the basement nice and early this year. Ha, like 8th months early. No, No - I mean 5 HOLIDAYS early. Again, thanks for the logic Elaine. Works for us, right Ruba? I buy stuff through the year when it's on sale, and stash it away for my next trip! So far, no new sandals, but a couple new bathing suits!! You are definitely more organized than I am. I always SAY I'm going to get stuff for Aruba throughout the year, but there I am every February scrambling around. I have my Aruba boxes that I start when I return from our trip, but by the time vacation rolls around it has migrated to the unknown corners of our house. Maybe this year will be different - right now I'm off to a good start. I won't burn anyway! I'm like Elaine, except I have 4 drawers in a dresser with my Aruba stuff. I too start swimsuit shopping the day after I get back. I find great deals and fits on line. When it gets close to "packing time", I open the drawers and "shop" for what I will bring with me. It is kinda fun. Silly but fun! As a matter of fact, Elaine and I have some of the same suits. We have great taste. Right Elaine? Home now and start doing laundry,cleaning,dog to kennel and packing for me. Hubby says--you have the next 4 days all for yourself!!!!!!!!!!!!! Lynn, now isn't that just like a "man". Like Gina says, sometimes they're just sooo clueless.... Well, you'll be so busy the time will just fly by, right? Have my list of restaurants-boarding pass-credit card and meds-oh and a few swim suits. I am ready. safe journeys lynn with lots of sun, calm seas, great food and the best bartenders. Have a wonderful trip Lynn....relax and enjoy your time in paradise. You're probably gone by now, but have a great time!!!! Well, I've only got 4 more holidays to go!!!!! Lynn, if you check in, have a super time on your vacation. Thanks-I am still home-had to postpone departure from Wed. till tomorrow. I had some stomach bug that said-you are NOT getting on a plane. Hopefully tomorrow will go as planned. I am ready for sun,sand and blue water. ...Hopefully tomorrow will go as planned. I am ready for sun,sand and blue water. Enjoy your vacation Lynn !!! Now you got it, Ro!!! lol People who know I go every year, and also know how psyched I get, always ask me how many days! I say... 4 more holidays!!! Lynn... so sorry to hear you had the bug, but happy that you'll be on our favorite island tomorrow. Safe flight, feel good, and have a wonderful vacation. Ro....I'm down to 1 holiday.....yea!! !